Yeah, yeah, yeah…fall is the season of baking. And soup. You know what else it is the season of? Dips. Hot dips. I don’t care about football (gasp). But I do care about dips. The first time I made this dip, it literally disappeared within 5 minutes, and that was just with my family–like, 2 adults, 3 children. 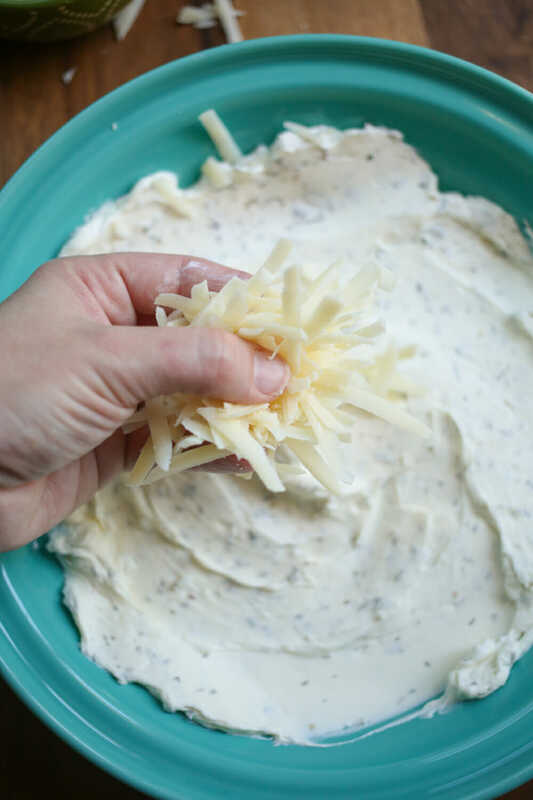 I guarantee you, if you make this dip, you will become everyone’s favorite person. You will win friends. You will influence people. This dip is the Giant Oatmeal Chocolate Chip Cookies of dips. Preheat oven to 350. In a small bowl, combine the softened cream cheese, oregano, parsley, and basil. 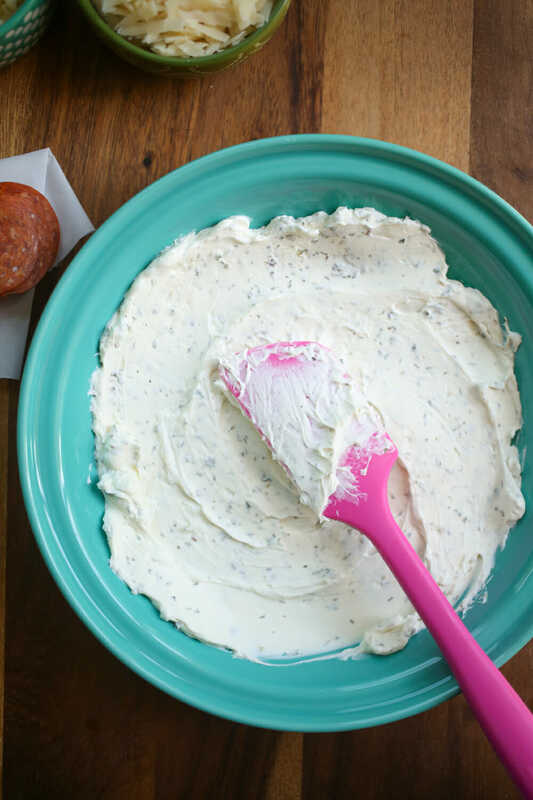 Spread the mixture onto the bottom of a 9″ pie plate. Sprinkle half of the parmesan and mozzarella cheese on top of the cream cheese. 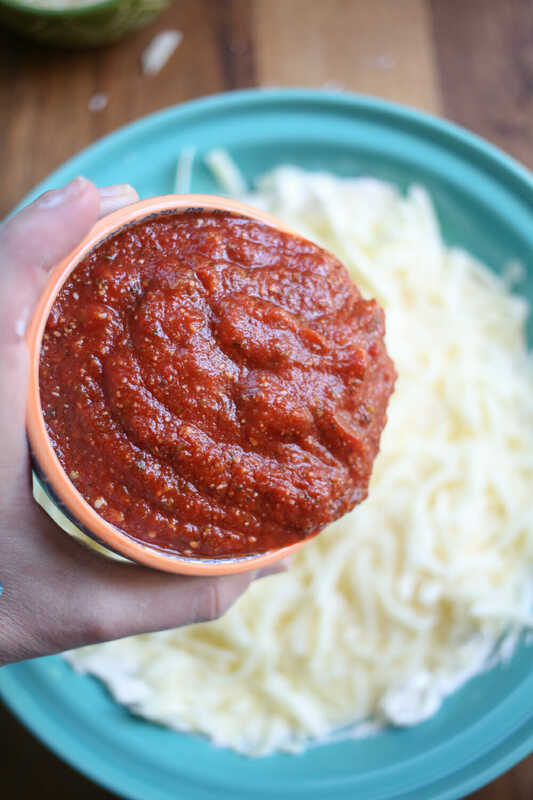 Top the cheeses with pizza sauce. 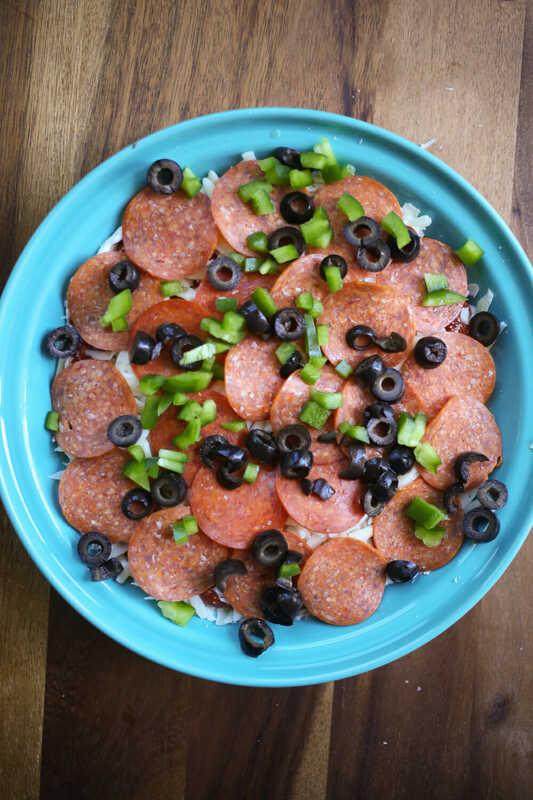 Sprinkle with remaining cheese, then spread the pepperoni evenly on top, then sprinkle with onion, peppers, and olives. Serve immediately with slices of warmed baguette, breadsticks, or crackers. Pssst…Fall Clearance Sale in our shop is going on NOW! Save up to 70% off on textiles and more! Click Here to Shop! This dip will disappear before anything else even gets touched, guaranteed! Preheat oven to 350. 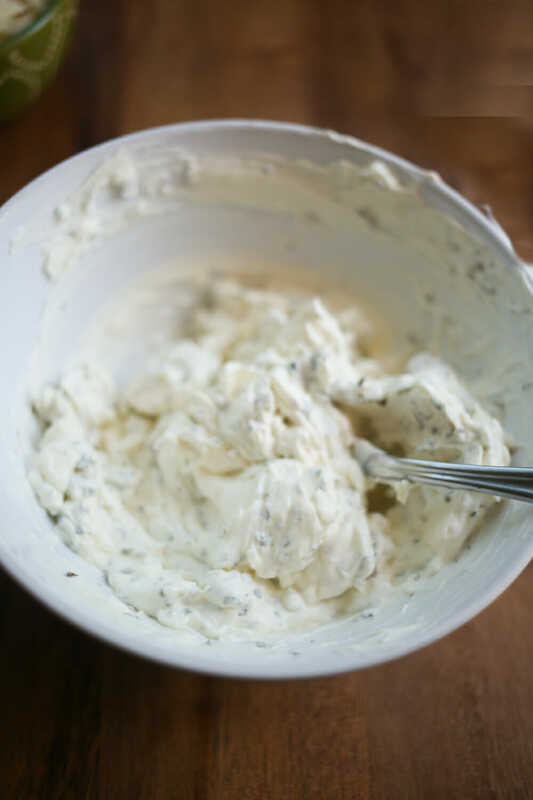 In a small bowl, combine the softened cream cheese, oregano, parsley, and basil. Spread the mixture onto the bottom of a 9″ pie plate. Sprinkle half of the parmesan and mozzarella cheese on top of the cream cheese. 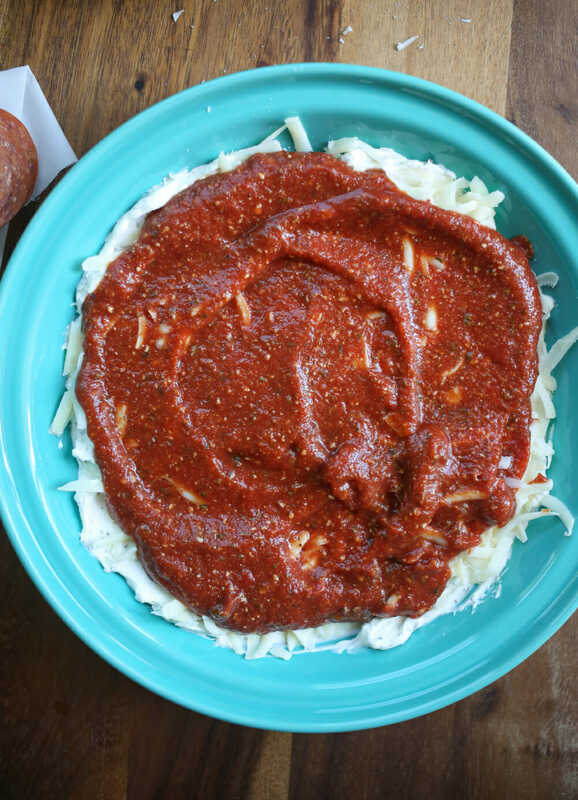 Top the cheeses with pizza sauce. 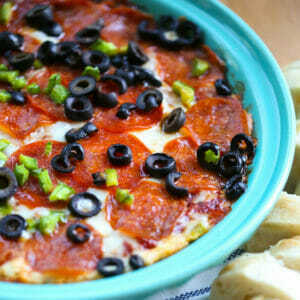 Sprinkle with remaining cheese, then spread the pepperoni evenly on top, then sprinkle with onion, peppers, and olives. Bake for 20 minutes or until bubbly. Serve immediately with slices of warmed baguette, breadsticks, or crackers. Totally making this for the next BYU game! 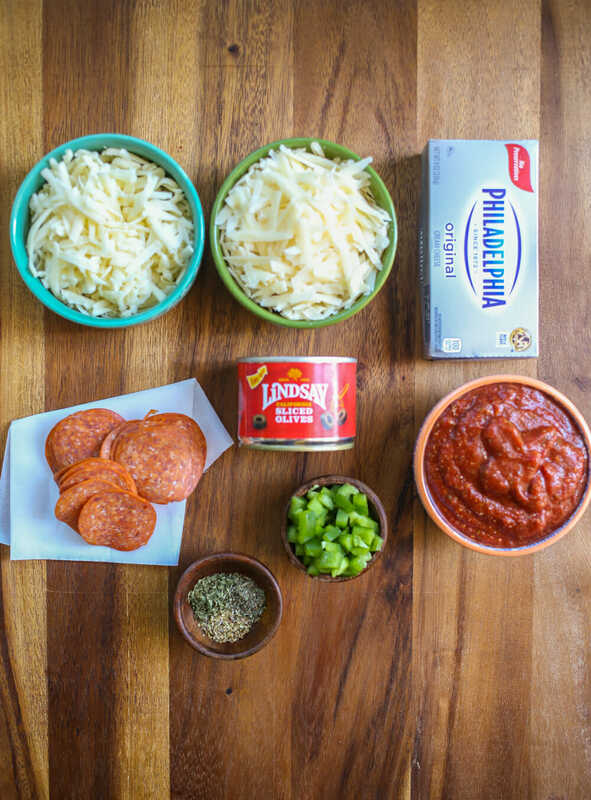 Just an FYI, your pic at the top has pizza sauce but it isn’t listed in the ingredients at the top of the post. (However, it is listed in the recipe). By “olives” you meant “italian sausage,” right? Ha!!! You can totally sub in whatever you want! This looks uber yummy!! What’s better than pizza? 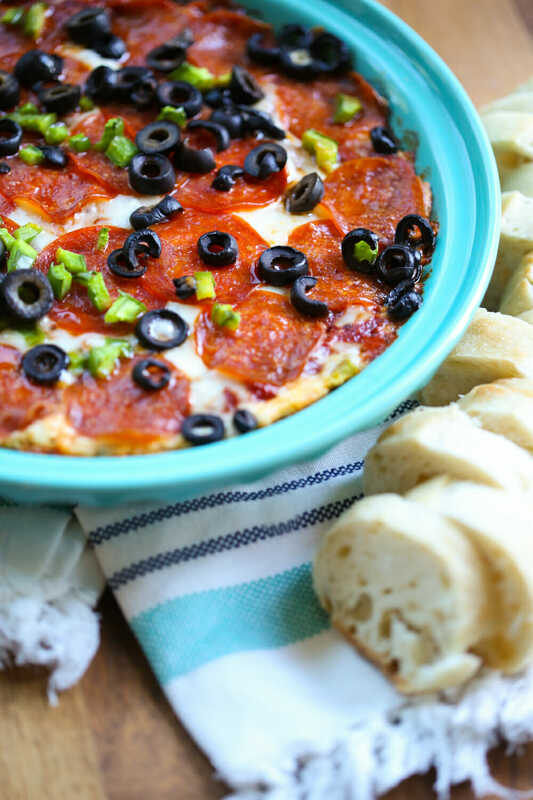 Pizza dip! How would this work in a crockpot? I have to bring a dip to a contest and want it to stay warm. I think it would work great!! Not sure on timing, but I think it would be delicious. This dip is amazing! I made it for New Years Eve and again the next day for another party and both times people LOVED it. It was very easy to prepare and delish with sliced baguette. It’s a keeper! I make this every year and I like to put it on broil for just a bit at end to crisp up the pepperonis. 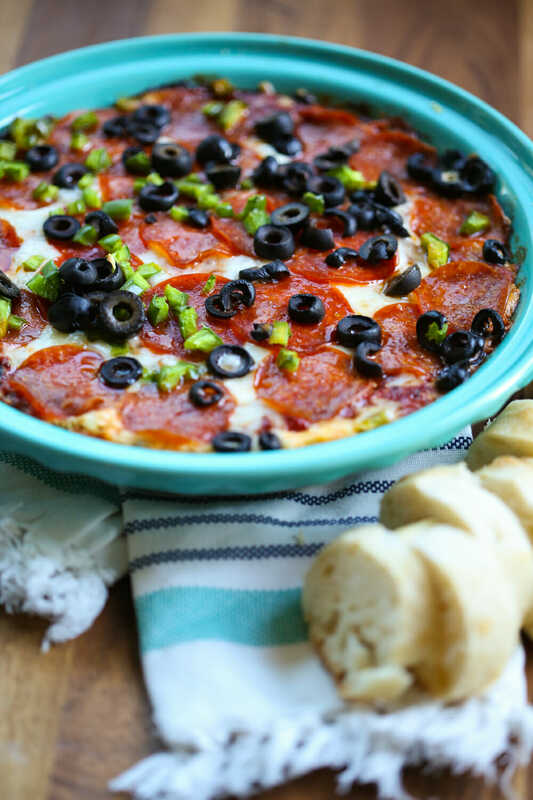 Great dip that is always a hit. ❮ Previous Post Previous post: The Blogger who tried ALL the Pumpkin Spice.